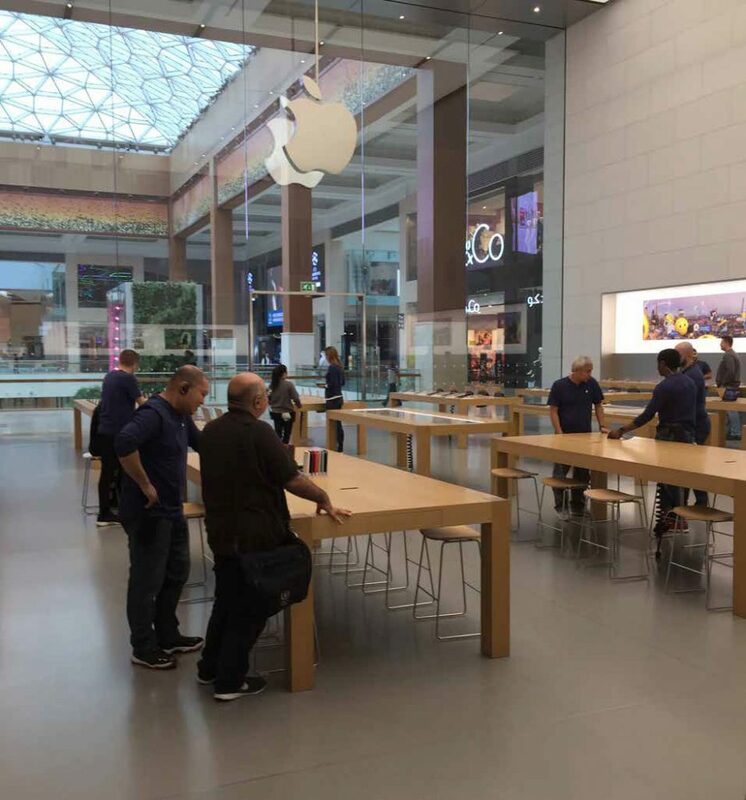 Apple has built several stand-alone “flagship” stores in high-profile locations. 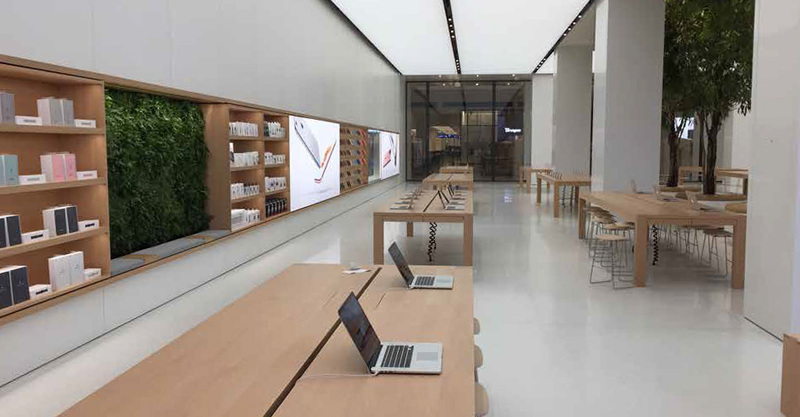 Apple has been granted design patents and received architectural awards for its stores’ designs and construction. Angela Ahrendts, Apple’s current Senior Vice President of Retail, unveiled a significantly redesigned Apple Store in Union Square, San Francisco in May 2016. 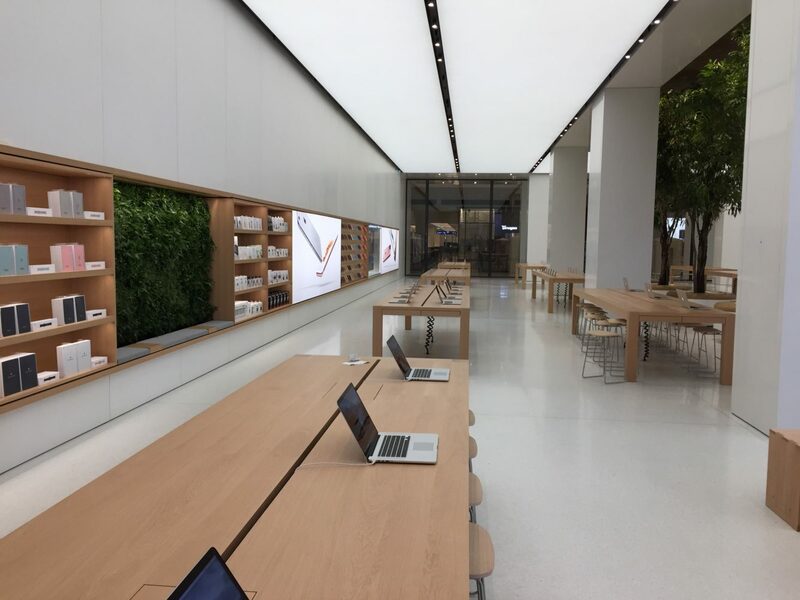 The new design would be applied to all Apple Stores worldwide; featuring large glass doors for the entry, open spaces, and white terrazzo floors. 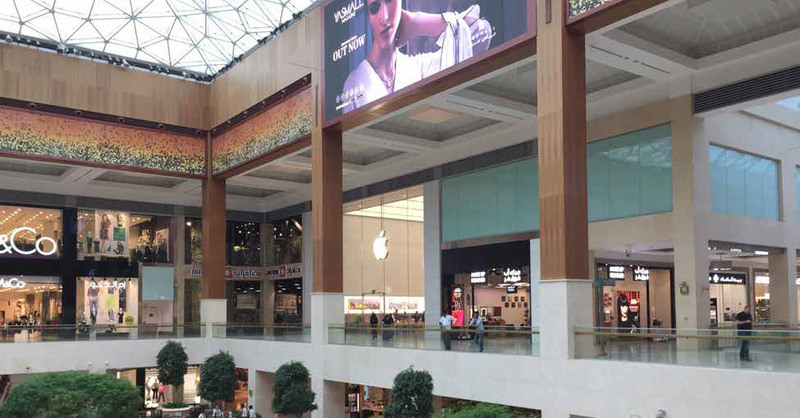 Fribel Gulf executives approached the most read about London firm of architects, Foster + Partners and Fribel Gulf was asked to submit samples and a mockup for the Yas Mall Apple Store in Abu Dhabi using micro aggregates on gray matrix. The terrazzo system requested is a complicated terrazzo system. However, given the excellence of the Fribel Gulf team, an impeccable mock up using micro aggregates was submitted and honored for the floor installations at Apple Mall of The Emirates, Apple Yas Mall Abu Dhabi and Apple Dubai Mall. 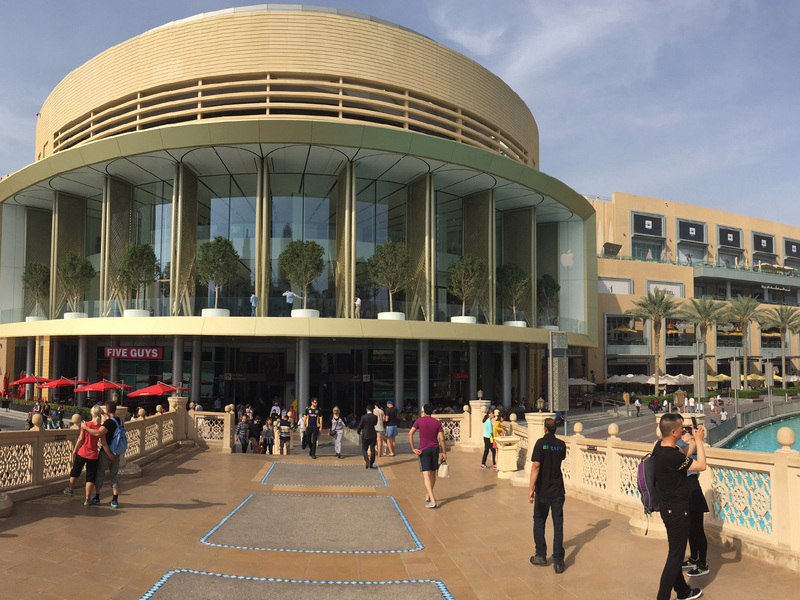 On Thursday, October 29, 2015 at 4pm, Apple Mall of The Emirates opened its doors and became the first Apple retail store in the Middle East featuring white on white terrazzo floors. Abu Dhabi opens its grand doors to the public. 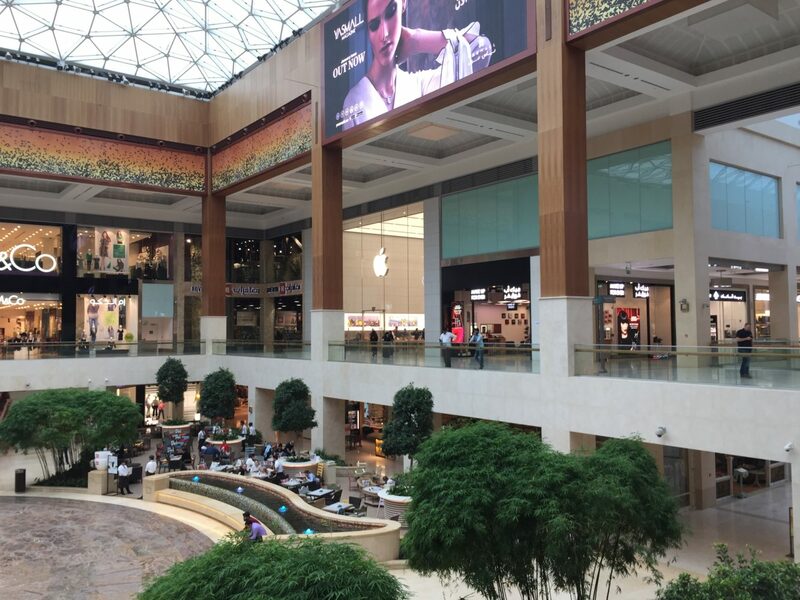 The gray matrix and micro aggregate terrazzo floor was only featured at the Yas Mall in Abu Dhabi. 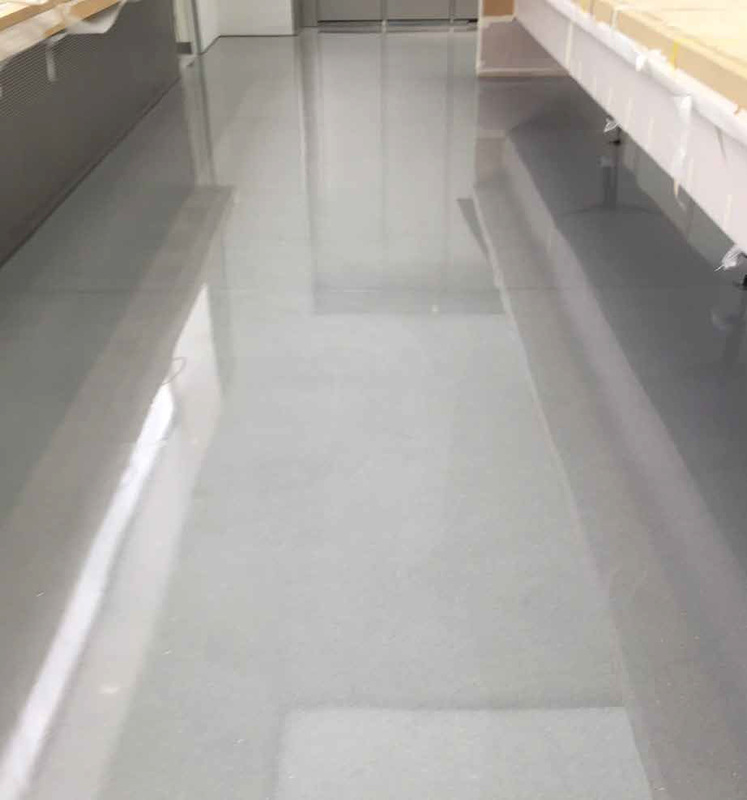 Some of the challenging opportunities presented at this site was the installation of the terrazzo floor on top of a floor cooling system imbedded on a floating screed. 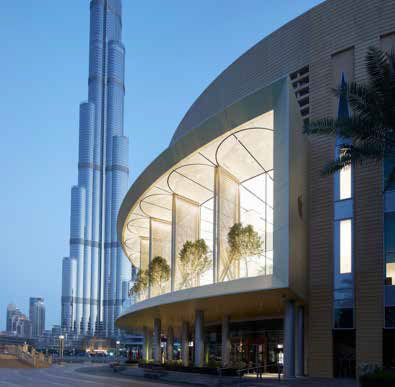 On April 27th 2017, Apple Dubai Mall opens its doors with an impressive 56-meter-long sweeping terrace offering breathtaking views of the Burj Khalifa and overlooking the majestic Dubai Fountain. 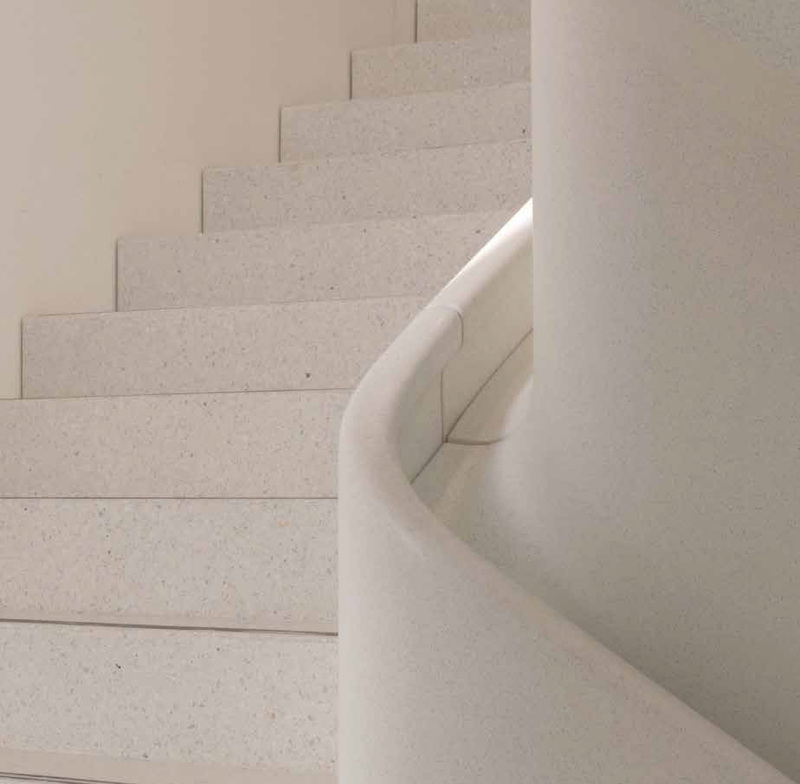 The Apple Dubai Mall seats over two floors in the United Arab Emirates city given Fribel Gulf an opportunity to featured white on white terrazzo floors and its precast white terrazzo stairways.